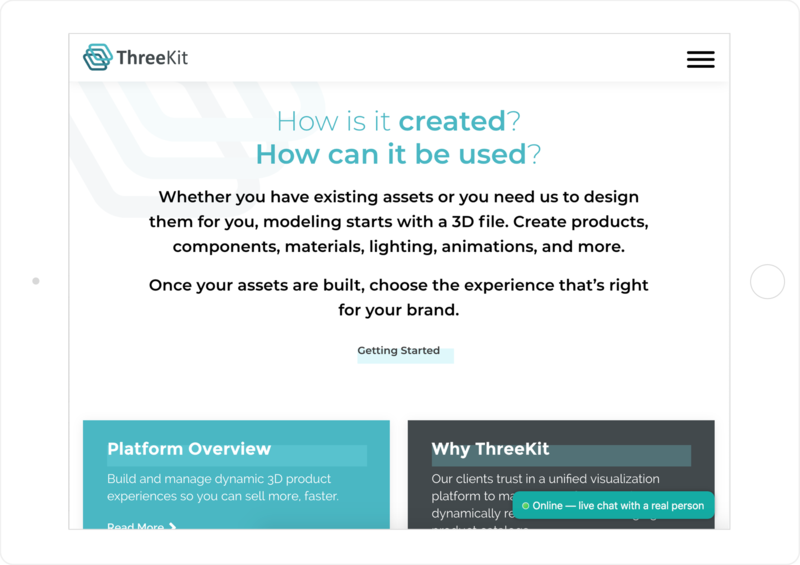 ThreeKit is a 3D visualization software company that helps our customers transform their buying journey. Whether it’s a digital, in-store, or mobile purchase, ThreeKit unifies the buying experience for any organization’s customers. SmartBug™ was brought in to help provide a brand new look and feel to their website and to put ThreeKit 3D products on the forefront. Aligning the redesign to their traffic and lead goals, ThreeKit is off to the races with a high-performing inbound website ready to tackle their goals.